This instalment of Growth to Watch For continues our journey through Toronto from where we left off in the last instalment, at the corner of Bathurst and Bloor. Covering a 30 km² area, we'll track the active and planned developments west along Dupont and then follow Dundas through The Junction, swing back east on St. Clair, then north on Spadina to Eglinton, before returning west and wrapping up at Keele Street and Eglinton. Moving north a few blocks from the last instalment's endpoint, we arrive at 1000 Bathurst Street. Here, construction is underway on a four-storey apartment building with 14 units by developer Paulo Oh. The latest construction photos show that some steel structural supports now rise at the slow-moving site. Continuing north on Bathurst, we pass under the rail corridor and make a right at Bridgman, following it and Macpherson over to 200 Madison Avenue where we find the second project on our route. A 2015 announcement from Mayor John Tory kickstarted development of an affordable housing building to be known as Madison View. The project, designed by McKnight Charron Limited Architects for Madison View Homes Inc. will bring 82 affordable rental units to a site just north of the CPR tracks from Dupont. Construction commenced in late 2016, and the project's website indicates that applications for the affordable units will begin to be accepted this coming September. Rendering of Madison View, image courtesy of Madison View Homes Inc. Continuing east on Macpherson, we follow Davenport south back under the tracks to Dupont, where we turn west. Pas Spadina on the north side is the site of 328 Dupont. This two-tower proposal from Freed Developments was heard at the OMB in 2017. Previously proposed at 15 and 29 storeys (as seen below), then reduced to 9 and 19 storeys in 2016, its height and closeness to the active rail corridor were cited as two reasons for refusal. Issued in late 2017, the OMB decision will allow a building as high as 12 storeys here, taking this project off of the table for the time being. Two blocks further west is Tridel's Bianca Condos at 420 Dupont, between Albany and Howland Avenues. The 9-storey, Teeple Architects-designed condominium development started marketing last spring, and following a successful run of sales, the site is now being cleared in advance of the start of shoring and excavation. Expect construction here to continue throughout 2018 and on into 2019. Another two blocks to the west, just across Bathurst Street, plans are advancing for Lifetime Developments' 500 Dupont, a 9-storey residential building with 145 units. After a 2016 redesign and a Site Plan Approval application, the project was presented to the local community during a May 2017 open house. The Official Plan Amendment, Zoning By-law Amendment, and Site Plan Approval required for the project's start are all currently under review. One door west of the 500 Dupont site, a plan for a 3-storey mixed-use development at 524 Dupont has sat dormant for almost two years, with no new information following a 2016 application for Site Plan Approval submitted with the City. Moving another few blocks to the west on Dupont brings us past Christie Street, where demolition has recently cleared the site for RioCan's 740 Dupont Street. Designed by Turner Fleischer Architects, the new 9-storey building will contain 210 rental units and ground floor retail. In December 2017, application for Site Plan Approval was made. Construction is expected to proceed throughout 2018 and into 2019. 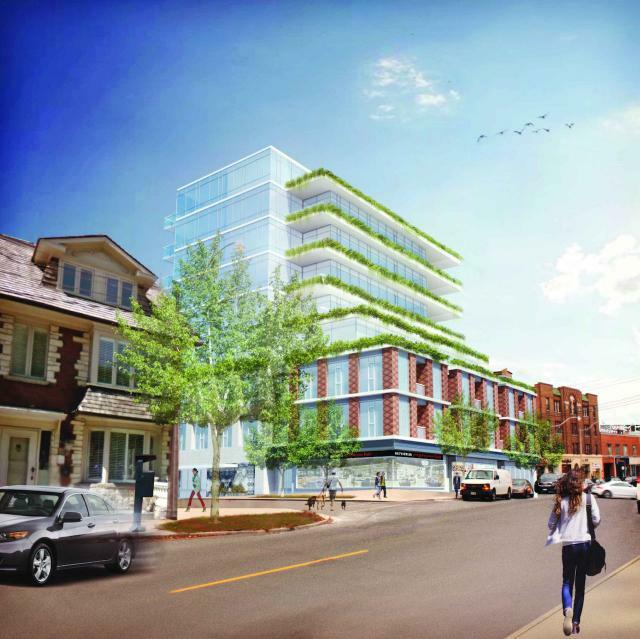 Continuing west on Dupont past Shaw Street, Tridel is working through the planning approvals process to redevelop a Sobeys supermarket at 840 Dupont Street with a mixed-use building designed by Turner Fleischer Architects. The proposal is for a 9-storey building with 304 residential units, office space, and a replacement of the Sobeys. Like 500 Dupont, an updated version of the project was presented to the local community during a May 2017 open house and is still under review by City staff. Four blocks to the west, just past Dovercourt, a plan for seven linked three-storey freehold townhomes at 1025 Dupont was resubmitted for Site Plan Approval at the end of 2017. 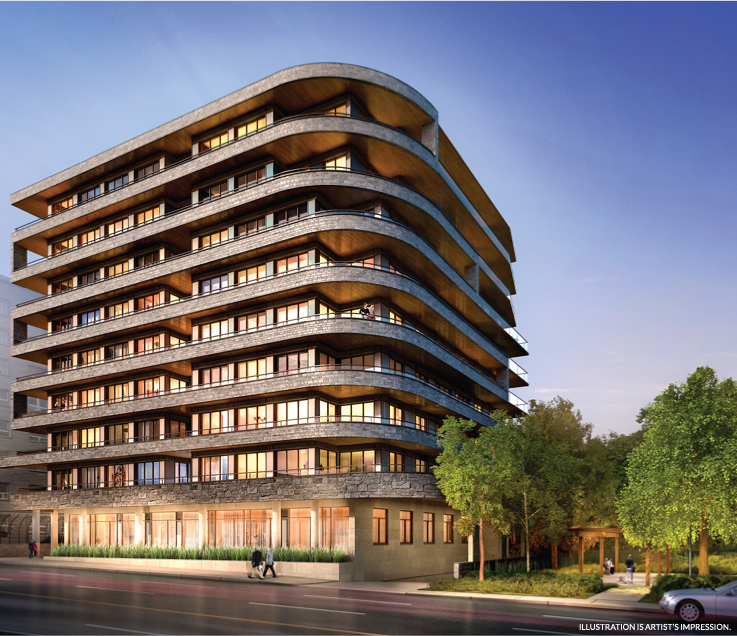 Now known as Piano Towns, the George Popper Architect-designed project has begun accepting registrations and is expected to go into sales this year. Another few blocks west on Dupont brings us to the site of a new All Canadian Self-Storage facility, under construction at 1120 Dupont, just past Bartlett Avenue. Site clearing began in late 2016, with plans resubmitted to the City in May 2017. A photo update captured in the final days of 2017 shows excavation and a tower crane in place for the six-storey, JH Rust Architects-designed building. Reaching Dufferin Street, we come to the site of the Galleria Mall, where Freed Developments and ELAD Canada are working on a major mixed-use redevelopment known for the moment as Reimagine Galleria master-planned by Urban Strategies and Hariri Pontarini Architects. The proposal has been evolving since initially proposed back in 2016, with the latest version envisioning 8 towers ranging in height between 19 and 35 storeys. A December 2017 community consultation confirmed that all building designs are purely conceptual at this point, and multiple firms are expected to be included during the final design process. Diverting south on Dufferin, a fire, a rebranding, and other obstacles have kept construction of Sanctuary Lofts at 1183 Dufferin lagging behind schedule. A late 2017 photo update shows that the conversion of the former Dufferin St. Presbyterian Church is once again active, with a scaffold erected around the building's main facade. Expect construction here to continue well into the year. Returning to Dupont and moving west again, we arrive at Lansdowne Avenue. At the intersection's northeast corner, a down-at-the-heels coffee shop was recently shuttered, and is expected to be redeveloped with a new residential building in the coming years. At the northwest corner, Neudorfer Corporation recently completed Fuse and Fuse2 condos, adding density and new retail to the neighbourhood. North of Fuse and the adjacent rail corridor, Neudorfer is developing a site on Foundry Avenue with the official address of 980 Lansdowne. Plans here call for a trio of Gabriel Bodor Architect-designed towers with over 1,000 rental units. An SPA application was submitted early in 2017, followed by an updated application for OPA and rezoning in November. Returning to Dupont, we cross west under the GO Barrie rail corridor and arrive at Campbell Avenue where demolition cleared the southeast corner in 2017. A resubmitted application for Site Plan Approval in late 2017 updated previous plans for 299 Campbell Avenue, a mixed-use rental building with 289 units. The new plan from TAS and Teeple Architects seeks a 15-storey building rising 47 metres, with retail and a relocated local Toronto Public Library branch fronting onto Dupont. Diverting north onto Symington Avenue, just north of the rail corridor, brings us to another proposed redevelopment site. 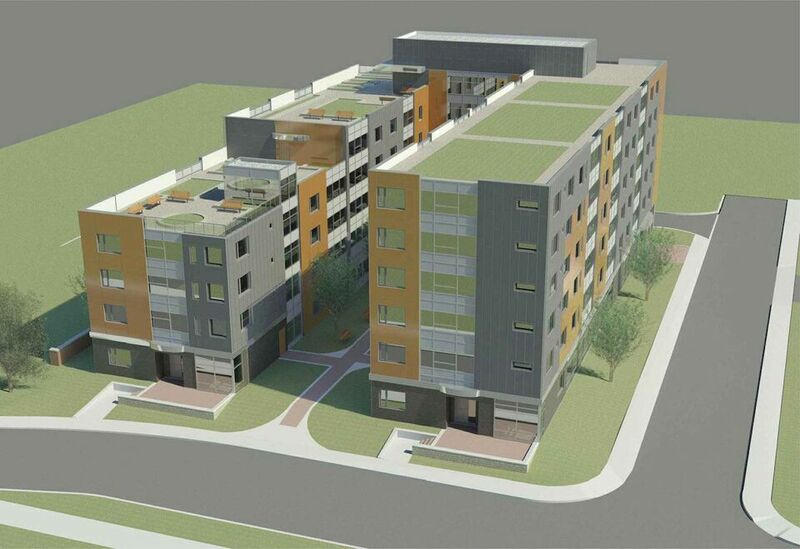 In 2016 YYZed Project Management proposed 386-394 Symington Avenue as two 17-storey residential buildings and two rows of 3-storey townhomes. The AJ Tregebov Architects-designed plan was resubmitted in early 2017 as a single 24-storey tower with a reduced unit count and an added park space. The project was appealed to the OMB last year due to Council's failure to respond to the application within 120 days. The City's planning department recommends that Council send staff to oppose the proposal, which is due up for a full OMB hearing in October. Reversing to head south on Symington we pass Dupont and come to Wallace Avenue and turn west, arriving at another church conversion project—Windmill Developments Group's Arch Lofts—just wrapping up. The Caricari Lee Architects-designed project incorporates a former Seventh Day Adventist Church with new construction. Residents have begun to populate the building's 42 condominium units. We follow Perth Avenue south then turn west on Ernest Avenue, where we find Heritage Towns On The Trail under construction. An earlier version of the plan from Montevallo Development Corporation and Neudorfer had already received approval from Toronto City Council, but a revised plan was passed by Council just yesterday. Construction at this site will continue through the year. Returning to Dupont via Perth, we move west again, crossing under the GO Kitchener rail corridor and emerging where Dupont meets Dundas Street. Here, a late 2017 application to the City is seeking rezoning for an 8-storey, architectsAlliance-designed condominium development at 2639 Dundas West. The project by Gairloch Developments—currently under review by City staff—would add 110 condominium and townhome units to the neighbourhood. A block to the northwest at 2720 Dundas West, another 2017 proposal from Slate Asset Management and Globizen Developments is seeking rezoning for a 12-storey, 173-unit residential development called Junction House. The superkül-designed building is under review by City staff. Passing the 2017-completed DUKE Condos and moving west of Keele Street we arrive at Pacific Avenue and the site of a proposal for 2978 Dundas West. Plans for the rental building from SharpWise Investments and RAW Design moved through the planning process during 2017. A January 2018 resubmission for rezoning increases the proposed height from 7 to 8 storeys, while the addition of three rental units brings the unit count up to 87. Moving west, a smaller scaled development is being planned at 3260 Dundas West, one block shy of Runnymede. To be known as Deco Towns, the four-storey project by Terra Firma Homes and Bernard Watt Architect was originally submitted for Site Plan Approval in 2016. 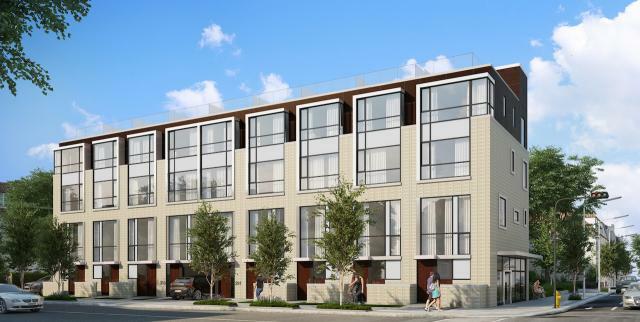 The 9-unit townhome development was resubmitted with revisions last May, a Notice of Approval Conditions was issued by the City in August, and purchaser registrations have begun. Moving west of Runnymede, Terra Firma Homes is working on another project in the area, this one a joint venture with Habitat For Humanity at 3385 Dundas Street West. Submitted for rezoning back in 2016 as an 8-storey TACT Architecture-designed building with 123 residential units, including eight affordable units for low-income families, it was resubmitted for SPA last September with some revisions. Now 7 storeys with 131 rental units, the latest documents show that AJ Tregebov Architects and YYZed Project Management have become involved in the project. A building permit application was filed last month, and is currently under review. Continuing west to just pas Scarlett Road, we reach 3775 Dundas West, the westernmost point in this instalment. The 12-storey, 293-unit condominium development by TAS and Teeple was resubmitted in June 2017 and received approval from City Council a few weeks later. There is no indication on TAS' website yet as to when they may proceed with this building. Doubling back one block we cross under the CP Milton corridor via Scarlett Road, then make an immediate turn onto St. Clair, beginning an eastbound leg on our journey. We soon arrive at the former Danier Leather building at 2650 St. Clair West. Purchased by Dunpar Developments for $12 million back in 2015, the building is being re-clad and converted into an office condominium project, to be known as The Shoppes on Scarlett. Construction here should complete in 2018. Continuing east on St. Clair a short distance, a 2016 proposal for three low-rise commercial buildings at 2575 St Clair was resubmitted for SPA in November. Known as St. Clair Crossing, the Petroff Partnership Architects-designed plan—developed by Dream Unlimited’s ‘Dream Centres’ commercial development arm—calls for two single-storey commercial buildings and a two-storey office building. A short distance to the east, the Ken Shaw Lexus Toyota dealership at 2336 St. Clair West is being expanded. Last spring, a new building opened on site to serve as the rebuilt Lexus dealership, while another expansion to the west will open as the new Toyota wing later this year. Immediately east of the dealership, a proposal from Marlin Spring Developments for 2306 St. Clair evolved through 2017. A resubmission late in the year brought renderings of the 11-storey Graziani + Corazza Architects-designed condominium development, set to contain 257 units. The proposed rezoning is currently under review by City staff. To the south of this proposal, a short detour brings us to 87 Ethel Avenue where a plan from Red Eagle Enterprises for the disused railside site was submitted in early 2017. Seeking rezoning and a City redesignation of the site as a regeneration area, Red Eagle wants to construct five buildings with 1,255 residential units, retail and office uses, and medical suites. In October, a resubmission updated the Sol-Arch-designed plan made up of connecting volumes, ranging in height from 7 to 19 storeys. With the resubmission now under review, the site was recently put up for sale. Following West Toronto Street to Keele northbound, we turn east on Lloyd Avenue, where an OPA application for the mixed-use JunXion Condos project has idled following developer Stanton Renaissance's having been put into receivership. The site and its planning proposal were reportedly sold in 2017 to Berkeley and Carlyle for $14.85 million. No mention of the project appears on the website of either developer, while no progress is apparent in the planning process, so it is not known if the will resurface in 2018. Returning to St Clair, we cross eastbound under the GO Kitchener corridor and after a couple of blocks come to Scoop 2, a follow-up to the next project. The proposal from Graywood Developments was submitted in March 2017, seeking SPA for a 12-storey, SMV Architects-designed building with ground floor retail and 274 condominiums above. Marketing of this project has not yet begun. Across Osler Street to the immediate east, ground was broken for Graywood Developments' SCOOP back in October, and shoring and excavation kicked into high gear before the dust could settle. The mixed-use 6-storey, 72-unit condominium building by SMV Architects will be under construction throughout 2018. Across the street to the north, the St. Clair/Silverthorn Toronto Public Library branch closed last year to begin a rebuild with a new design by G. Bruce Stratton Architects. Construction here will continue throughout 2018 and is expected to be completed in 2020. 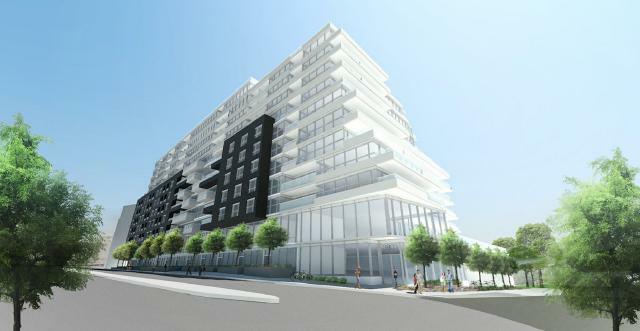 Several blocks further east, a 2016 SPA for a three-storey MacLennan Jaunkalns Miller Architects-designed Shoppers Drug Mart at 1233 St Clair West received approval last year, though an OMB appeals process added unexpected costs to the project, leading to Shoppers Drug Mart’s sale of the rezoned property to Stafford Developments. There is no word yet as to whether the project will proceed as a commercial building, or if it will be resubmitted with a modified proposal which could include residential. About a kilometre east, developer Main and Main filed a proposal last year, seeking SPA for a 12-storey rental development at 908 St. Clair West, designed by TACT Architecture and containing 151 rental units. A report in late 2017 revealed that a bidding war broke out to purchase Main and Main’s real estate portfolio, which was won by the team of Trinity Development Group Inc. and Timbercreek Asset Management Inc. It is not yet known how this purchase will affect Main and Main's various projects being planned in the region, though we expect to learn more this year. Immediately across Alberta Avenue to the east, we find another Main and Main project in planning at 898-900 St. Clair Avenue West. The site of the 12-storey, Quadrangle-designed development was cleared at the time of our 2017 Growth To Watch For covering this area. Since then, a refined submission for SPA has been filed, increasing the rental unit count up to 123, though details about who will lead the redevelopment are unclear following the aforementioned sale of Main and Main's portfolio. Another few blocks to the east, the project formerly known as Homes of St. Clair West was sold off to Worsley Urban Partners following the bankruptcy of previous developer Urbancorp. The old plan for a 9-storey mixed-use project by TACT Architecture has been updated with a resubmitted SPA in May 2017, now set to rise 8 storeys with a plan by RAW Design, and renamed Eight Forty on St. Clair. The project has since begun to accept registrations, and the sales centre has been updated to reflect the new ownership and branding. Just shy of one kilometre east, a brief diversion north on Vaughan Road brings us to the site of Oben Flats St Clair West, a 10-storey rental apartment, designed by superkül. Forming for the project was just finishing up at the end of 2017, and has since completed. With work now underway on enclosing the structure, we expect to see this project completed later this year. Returning to St. Clair and moving two streets east to Bathurst, we arrive at the site of Goldman Group and Lash Group of Companies' The Barrington Condos, the third property north of the corner. The 18-storey Richmond Architects-designed condominium tower made quite a bit of progress in 2017, including the completion of excavation, the start of forming, and the tower's rise above street level. Construction here will continue through 2018. Across Bathurst to the east, a new development was recently proposed for the site of a 2013-demolished gas station at the northeast corner of Bathurst and St. Clair. KingSett Capital's proposal for 1467 Bathurst surfaced in the final days of 2017, seeking rezoning to allow three Quadrangle-designed residential towers rising to 30-storey heights. At the intersection's southeast corner, Reserve Properties' Rise Condos is topped out at a height of 23 storeys, and practically fully clad. This Graziani + Corazza Architects-designed condominium development's 300 new residential units will be taking in residents and retail tenants part-way through year. 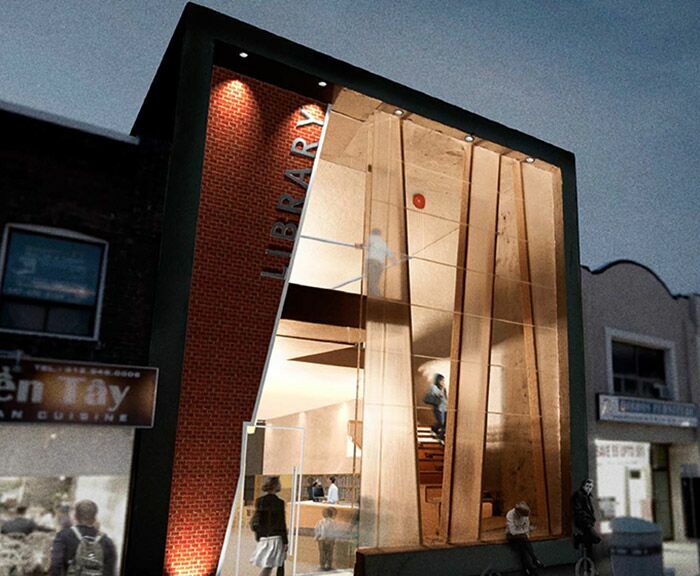 Just south of Rise Condos, the Toronto Public Library's Wychwood branch is set to undergo an expansion and renovation project led by Shoalts and Zaback Architects. The two-storey addition will also house expanded space for the adjacent Wells Hill Lawn Bowling Club. Plans for the project evolved in 2017, and in January, 2018, a resubmission for SPA was filed with the City. According to the library's website, construction will commence this year. Back up to St. Clair, we move east and pass by Madison Homes and Fieldgate' Kirkor Architects-designed ZIGG Condos. The 11-storey building is structurally complete, and crews are in the process of finishing up exterior envelope installation and working on interior spaces. Construction here will wrap up during 2018. Across the street to the north and a few steps east, a plan to redevelop 200 St Clair West by Stafford Developments was appealed to the OMB in 2015, with mediation and hearings wrapping up in 2017. It was revealed partway through the year that Stafford had pre-sold the developed site to North Drive Investments on the condition of the plans receiving an OMB approval. The go-ahead received, North Drive brought a new Ar Deco-inspired design by architect Richard Wengle to market as One Forest Hill. Hoarding was recently installed around the site, indicating we will not have to long wait much before this project begins construction. Another two blocks east, just past Avenue Road, work began in late 2016 on Blue Diamond Condos, a development by Camrost-Felcorp, Diamond Corp, and Whitecastle Investments. The 2016 demolition of the heritage Deer Park United Church's south end cleared the way for excavation, which is now wrapping up. Preserved by ERA Architects, remnants of the church's north half will be incorporated into the building's St. Clair frontage, framing a courtyard with the 26-storey Diamond Schmitt-designed tower to the south. Construction will continue throughout 2018 and into 2019. Retracing our steps one block back to Avenue Road, we divert south a few blocks, reaching the site of Brandy Lane Homes' The Davies. The 36-unit, 9-storey boutique condo by SMV Architects was in sales through the first half of 2017. The first signs of activity came in mid-2017 when the project’s sales centre was cleared from the future development site and relocated nearby. Most recently, a shoring permit was issued in December, giving the go-ahead for the start of construction. Turning around and heading north on Avenue Road, construction is underway a short distance north of St. Clair at the site of 609 Avenue Road by Madison Homes and the State Building Group. The 19-storey condo tower designed by Richmond Architects had its tower crane installed back in September, and forming will continue through 2018. Turning west onto Heath Street, then north on Spadina Road, we arrive at a proposed 9-storey, Giannone Petricone Associates-designed development at 390 Spadina Road. 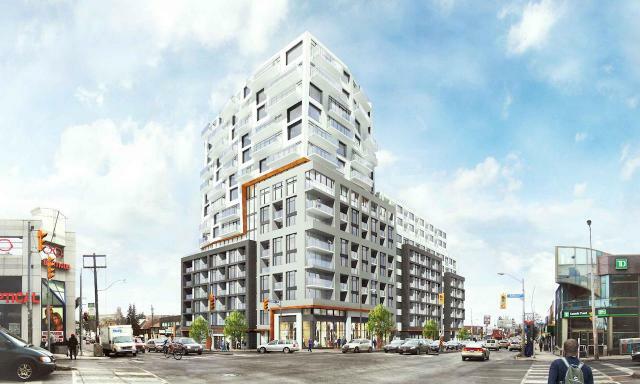 Proposed to contain ground floor retail and 46 condominium units, the project was rejected by City Council in July 2016, and appealed to the OMB later that year. With two pre-hearings held last year, the next steps will be determined at two upcoming mediation sessions in February, with a full hearing scheduled for mid-April. Continuing north through Forest Hill Village, we arrive at 467-469 Spadina Road, located at the northeast corner of Spadina and Coulson. Here, a four-storey walk-up apartment building formerly known as The Monticito has sat vacant for years. Last year some movement finally came about when a website was unveiled for a new plan by AB8 Group and Richard Wengle Architect Inc. called 469 Spadina. What was once 17 apartments is proposed to be converted into just two homes, each in excess of 8,000 ft². Three blocks to the north, we turn west on Burton Road before reaching Bathurst Street and continuing north another two blocks, arriving at 1677 Bathurst Street. Here, Distrikt Developments is planning a four-storey residential building by RAW Design. This development was appealed to the OMB due to Council's failure to respond within 120 days. A first OMB pre-hearing was held in December, and will be followed up in February by a second pre-hearing. A few hundred metres north of 1677 Bathurst, construction is in full swing at the site of the Holy Blossom Temple at 1950 Bathurst, where a Diamond Schmitt Architects-designed expansion is being built. The first phase of construction is currently on track to be completed this summer, with the second phase slated to begin after a brief pause in construction to raise further funds. Directly across Dewbourne Avenue to the north, plans continue to evolve for Eldebron Holdings' planned residential development at 1996 Bathurst. The six-storey, Quadrangle-designed plan was resubmitted for ZBA last October with a series of revisions, including a reduction in the number of proposed suites and refinements to the building’s design. Moving north to Eglinton, a Quadrangle-designed proposal at 859 Eglinton West—now in the hands of CentreCourt Developments—was appealed to the OMB in 2017 following Council's failure to respond in time. The 16-storey, 253-unit condo development is due for an OMB prehearing this March, with a full hearing scheduled to follow in July. The 859 Eglinton West site mentioned above is flanked by future entrances to the Crosstown LRT's Forest Hill Station, and is currently being used as a staging area for the new transit station. With the line planned to open in 2021, much of the current activity for Forest Hill Station is happening below grade and out of view to passersby. The first concrete roof slab was poured above the station's excavated pit late last year. Moving west several hundred metres brings us to the next Crosstown station being built at Allen Road. Cedarvale Station—currently know as Eglinton West station—will be one of the line's two connecting points with the Line 1 subway. Above ground utility and piling work and below-grade forming are in full swing. Upcoming work in 2018 will include roof slab concrete pours, the realignment of Allen Road's north and south approaches, and additional shoring. Another half-kilometre to the west, Oakwood Station will bring rapid transit to the Five Points and Belgravia neighbourhoods upon opening in 2021. Excavation of the station here is wrapping up, and will be followed by a mining phase, with the help of a specialized overhead crane. The under-construction Crosstown LRT station is already fostering intensification in the surrounding blocks. More on that below. Diverting steps south of Eglinton, a proposal at 601 Oakwood surfaced in the final days of 2017 for a mixed-use building containing three commercial units and 6 residential units. Developed by Katalyst Real Estate Corp and designed by Sol-Arch, the project's recent SPA submission is now under review. Back on Eglinton, and just west of Oakwood, construction of Empire Midtown, a 16-storey condominium project is underway at 1603 Eglinton West. The site of the Richmond Architects-designed development for Empire Communities is now being excavated, with construction set to continue throughout 2018 and beyond. Continuing west brings us to Dufferin Street, where the Fairbank Crosstown LRT Station is under construction. Named for the neighbourhood it will serve upon opening in 2021, the station site saw extensive shoring work through 2017, setting the stage for excavation to begin this year. 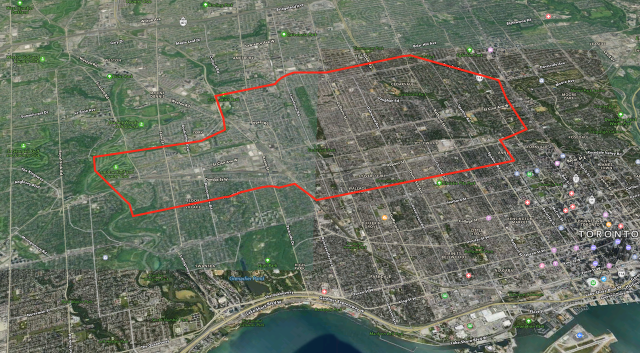 Diverting north on Dufferin Street for a few blocks takes us to the site of Royalpark Homes' The Bean Condominiums. An apparent construction start for the 5-storey, Romanov Romanov-designed building in late 2016 was short-lived, with the developer resubmitting a revised proposal seeking rezoning for a 9-storey version of the project last summer. Meanwhile, Royalpark is marketing the new floors on the project's website and advertising the coming start of construction in anticipation of approval. 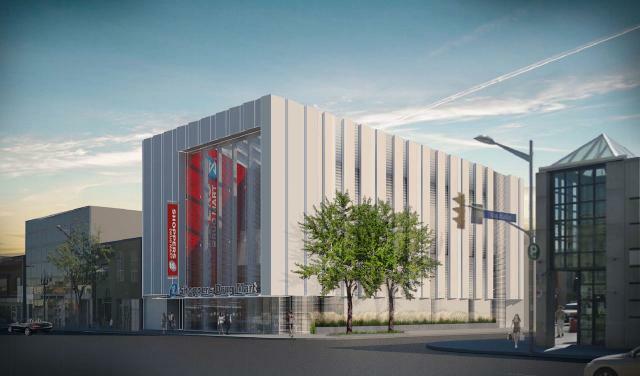 Across the street to the west, a 2016 plan for an Audi auto service centre 2462 Dufferin evolved in 2017. The two-storey, 9.4-metre-tall, 1,982.4 m² proposal was resubmitted for SPA in October 2017, and is currently under review by City staff. Returning south to Eglinton and moving west again, we arrive at the future site of the Oben Flats Castlefield Design District residential rental project at 2280 Eglinton West, just west of Caledonia Avenue. The seven-storey, 29-unit plan that appeared in last year's instalment for this area has been replaced by an eight-storey, 122-unit version—once again by architects superkül— now that Oben Flats has purchased more property for the project. In December, 2017, a resubmission was received by the City for the larger rezoning and SPA. Just steps to the west on Eglinton, Caledonia Crosstown LRT Station is under construction. Excavation for the station was begun last year, and a crane is now in place. A breakthrough into the bored tunnels further below is one of the next major milestones planned for early this year. The station will also provide an interchange with the Barrie GO line, providing the area will a quick link to Union Station as well. Moving further west again, our final stop in this instalment is Keelesdale Station on the Crosstown LRT at Keele Street. While there is still plenty left to do before the 2021 opening, work that had been obstructing that stretch of Eglinton wrapped up in 2017, being the first station on the line to complete roadway operations. Below grade construction will be a large component of the work being carried out here in 2018. We will be continuing further west on Eglinton Avenue in the next instalment of our Growth To Watch For series, appearing next week. Have any questions about the developments in this article? You can click on the projects' database files, linked below, for more information. Want to share your thoughts about the developments? Feel free to leave a comment in the space provided below, or join in the ongoing conversation in the associated Forum threads. 200 Madison Avenue, Toronto | Madison View Homes Inc.
Madison View is an 82-unit McKnight Charron Limited Architects-designed affordable housing development at 200 Madison Avenue by Madison View Homes Inc. Proposed redevelopment of the Galleria Mall at 1245 Dupont Street by ELAD Canada and Freed Developments. 243 Perth Avenue, Toronto | Windmill Development Group Ltd. Proposed mixed-use development in Toronto's The Junction area. Designed by RAW for Carlyle Communities. Eight Forty on St. Clair is an eight-storey West End Toronto condominium development designed by RAW for Worsley Urban Partners. A two-building, six-storey rental development on Bathurst Street, south of Eglinton Avenue West. 115 residential units, including 62 rental replacement units are proposed. • What Do 'Terms of Reference' Mean For Toronto's Subway?